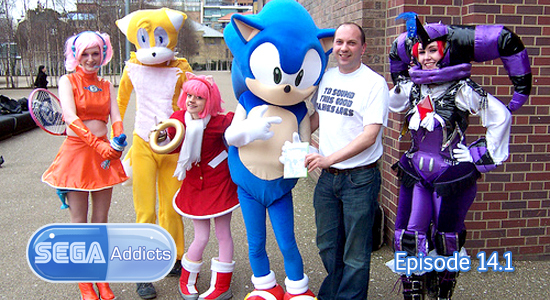 Sega Addicts: Episode 14.1 – Special Bonus Listener Edition! This Tuesday, the Sega Addicts recorded Episode 14. Some say it was the best two hours of podcasting ever recorded. Unfortunately, it was lost. We knew we couldn’t just go an entire week without releasing an episode. What we also knew was that the magic that was Episode 14 was gone and it would be a waste of time to try and achieve it for a second time. Thus, we decided to record Episode 14.1 by letting some of our listeners come on and chat with us for awhile. What lies before you is what transpired and is entirely unedited. There will be no show notes this week because… well… I couldn’t comprehend how I would even do them. Sega Addicts Episode 20 records tonight! This was an absolute blast. Very happy to have been a part of the first ever fan episode! Thanks so much! It’s alright MattJay. There’s no way you could have known it was buzzing since you can’t hear yourself in Skype.